Crystal meth is an illicit form of methamphetamine, a powerful psychostimulant drug with effects similar to those of cocaine and prescription amphetamines.1 Crystal meth is an extremely potent substance with a powerfu. addiction potential. When a user has become addicted to methamphetamine, it can be extremely difficult for them to stop due to cravings and, in some cases, compulsive avoidance of unpleasant withdrawal symptoms. Fortunately, there are several detox options for those looking to begin a new life in recovery from crystal meth. Methamphetamine has powerful central nervous system stimulant properties and a very high potential for addiction development due to its effects on the motivation and reward centers of the brain. Intense itching leading to skin sores caused by scratching. 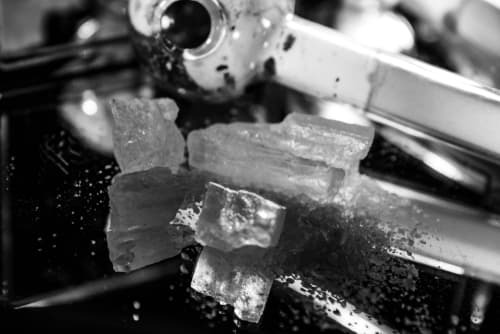 Methamphetamine use may result in a relative depletion of dopamine, which could explain why the intense meth high is followed by a “crash” and feelings of apathy, depression, and hopelessness. This binge pattern of use further drives the development of compulsive patterns of use, physiological dependence, and addiction. Injection risks, such as contracting HIV and hepatitis B and C.
Exacerbation of the progression of those who already have HIV/AIDS. Changes in the brain’s dopamine system associated with reduced coordination and impaired verbal learning. Psychotic features, including paranoia, aggression, mood disturbances, and delusions. Meth mouth, or tooth decay, gum disease, and mouth sores. Skin sores due to scratching. An increase in violent behaviors. Respiratory risks, such as bronchitis, chronic cough, pneumonitis, and lung infections. Increased risk of developing Parkinson’s disease. The longer the drug is used, the higher your risk of developing any of these long-term effects of crystal meth use. Additionally, the longer you continue to use meth, the more likely it is that you will develop an addiction. Profound depression and associated suicidality. Psychotic symptoms (e.g., paranoia, delusions, etc.). Some of these symptoms may reflect a compensatory reaction to certain neglected areas of health commonly seen in chronic meth users. Abusers will often forgo eating and sleeping while under the influence of this drug because of the energizing effects of methamphetamine and its abnormal influence on motivation pathways in the brain.8 Therefore, symptoms such as increased appetite and fatigue may reflect a natural physiological attempt to return to a healthy state. These symptoms typically subside within 1 to 2 weeks of continuous abstinence, adequate nutrition, and improved sleeping behaviors. 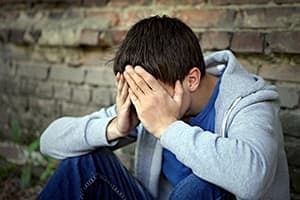 Anxiety is a common and, in some cases, expected reaction that many drug abusers experience during withdrawal.1 For example, it could be because a person who is addicted to methamphetamine has come to rely on it as a crutch to deal with the stresses of normal life, and it may be scary for them to imagine life without it. Anxiety is a common and, in some cases, expected reaction that many drug abusers experience during withdrawal. 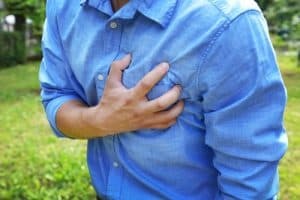 It is normal for individuals who are dependent on any drug to be anxious and fearful of stopping, even if drugs are actually causing them harm. Fortunately, this anxiety will also fade with time. Cravings and depression are frequently the most challenging symptoms of methamphetamine withdrawal and, because of their association with relapse and suicidal ideation, the ones that require the most attention from the treatment team.5 Because meth has such powerful and disruptive effects on the brain’s reward and motivation centers, these symptoms may be more long-lasting than other withdrawal effects and could persist for more than 5 weeks after the last use.10 This is because it takes time for these brain pathways to heal and return to normal functioning. The journey from methamphetamine dependence to recovery can take several months and, for many, maintaining a healthy, drug-free lifestyle is a lifelong process. This section briefly describes the steps along this journey and what to expect. The initial phase of recovery from methamphetamine addiction is the crash that follows the high of drug use. Individuals who are crashing often feel depressed, fatigued, and irritable.2 These symptoms will pass in hours or days if a person is not yet dependent on the drug. In cases of significantly severe dependence, or if the last use was a heavy binge, they may also experience paranoia and psychosis requiring the temporary use of sedatives or antipsychotic medications. 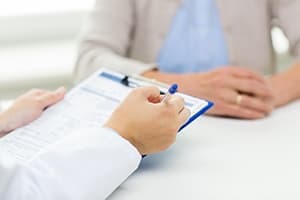 The journey from methamphetamine dependence to recovery can take several months and, for many, maintaining a healthy, drug-free lifestyle is a lifelong process. After the crash, a person addicted to methamphetamine will continue to experience several withdrawal symptoms, as discussed above. Fatigue, anxiety, and appetitie changes will usually subside within days or weeks. Detox program staff will provide watchful supervision throughout the withdrawal period, offering supportive medications for particularly troublesome symptoms and escalating the level of care in the event of any severe withdrawal associated developments (e.g., suicidal thoughts). The Matrix Model: A holistic approach that combines various strategies including behavioral therapy, counseling, drug testing, 12-step support, and family education. Contingency Management: A strategy that rewards engagement in recovery and maintenance of abstinence with tangible rewards. Motivational Incentives for Enhancing Drug Abuse Recovery (MIEDAR): Another incentive-based therapy that has been shown to be effective in abusers of methamphetamine in clinical trials. 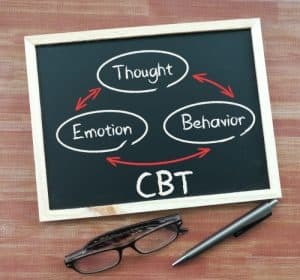 Cognitive-behavioral therapy (CBT): An approach that helps patients recognize, avoid, and cope with situations where they are most likely to use drugs. Detoxing from chronic methamphetamine abuse is an uncomfortable process that can have certain dangerous complications. Many people experience paranoid and irrational thoughts and may present a danger to themselves or others. Furthermore, depression during detox may be associated with suicidal thoughts and attempts. Additionally, cravings for methamphetamine during detox are so powerful that many abusers will eventually give in and return to drug use despite their sincere desire to stop. Administration of medication to patients, if necessary, to make them more comfortable. Supervision to prevent patients from harming themselves or others. Temporary separation of the recovering person from their normal environment and the inherent temptations and opportunities to use. Finally, detox facilities can provide crucial support for those who are suffering from mental health issues caused or worsened by their methamphetamine use. Oftentimes, depression and psychosis are serious and ongoing consequences of abusing this drug, requiring long-term management through counseling and medication. Staff at detox centers can assist their clients by connecting them with programs and resources available to address these mental health challenges. Because of the high rate at which methamphetamine abusers return to drug use after detox, it is advisable for anyone undergoing withdrawal from methamphetamine to enter a drug treatment program immediately after completing the detox process. There are several types of drug treatment programs available depending on your specific needs. Inpatient treatment facilities offer round-the-clock support in a controlled environment for about 4 to 12 weeks, or longer, if needed. Oftentimes, inpatient programs are affiliated with a detox center, so clients can enter treatment seamlessly after withdrawing from methamphetamines. These intensive programs can help recovering individuals address their addiction in a safe place, with other people going through the same process and separated from people and places that are associated with their drug use. For those who want or need extended support, sober living facilities offer a supportive environment for those transitioning out of treatment into a life in recovery. Outpatient treatment facilities run only during the day and allow patients to return home in the evening. This type of program can be beneficial to individuals with work or home obligations and a solid network of support at home. For people who live alone or with other drug abusers, the outpatient option may not be the best. If you or a loved one is struggling with methamphetamine addiction, you do not have to face it alone. There is help, no matter what your situation. National Institute on Drug Abuse. (2018). DrugFacts: Methamphetamine. National Institute on Drug Abuse for Teens. (2019). Methamphetamine (Meth). U.S. Department of Justice Drug Enforcement Administration. (2017). Drug of Abuse: A DEA Resource Guide. National Institute on Drug Abuse. (2013). Methamphetamine. National Institute on Drug Abuse. (n.d.). Methamphetamine. National Institute on Drug Abuse. (2018). Monitoring the Future Study: Trends in Prevalence of Various Drugs. University of Maryland: Center for Substance Abuse Research (CESAR). (n.d.). Methamphetamine. Hatzigiakoumis, Daniele Stavros. Martinotti, Giovanni. Di Giannantonio, Massimo. Janiri, Luigi. (2011). Anhedonia and Substance Dependence: Clinical Correlates and Treatment Options. Front Psychiatry.2:10. Zorick, T. Nestor, L. Miotto, K. Sugar, C. Hellemann, G., Scanlon, G. London, E. D. (2010). Withdrawal symptoms in abstinent methamphetamine-dependent subjects. Addiction, 105(10), 1809-1818.